Who cares about the CFPB? We all should! The Consumer Financial Protection Bureau is a central part of President Obama’s Wall Street Reforms program which also includes the Federal Stimulus Program. Created in 2011 to police the financial services industry, the CFPB has been in the news again recently due to the controversy surrounding the appointment of a new Director. It’s existence and who runs it is relevant to any individual who has a credit card, mortgage, student loan or engages in any type of financial transaction at all. Established through the Dodd-Frank Wall Street Reform and Consumer Protection Act of 2010, the CFPB’s main function is to make sure people know what they are getting when they enter into a contract with a financial service provider and in turn that the financial institutions are playing by the rules. For those who don’t remember, not so long-ago Mortgages were sold to people who couldn’t afford them or sometimes didn’t understand what they were getting into which led to the 2008 financial crisis and the mortgage meltdown! The CFPB was created to help prevent that from happening again. In short, if you have any of the items listed above, you should care who runs the CFPB! 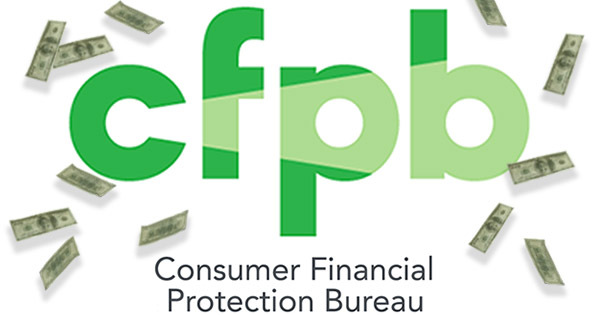 Before the establishment of the CFPB there were seven different Federal Agencies involved in financial consumer protection with little power to regulate. This organization brought it all under one central command. Their mission is to educate consumers in the fine print of agreements, enforce financial protection laws which restrict unfair, deceptive or abusive acts or practices against consumers and to take consumer complaints, research consumer behaviors and monitor financial markets to assess risks to consumers. As you can imagine, partisan politics plays a crucial role in the perception of the effectiveness and importance of this organization, as well as, who gets appointed to run it. Additionally, the political party of the director is relevant to the extent that they are either pro or anti-government regulation on business practices. At its inception, the CFPB was set up as an independent agency getting it’s funding from the federal reserve. The political party of the director will have a huge effect on the direction the organization takes. In turn, this has a legitimate net effect on all Americans, so we should care who runs the CFPB! “We are watching this closely as the new director will no doubt effect the laws that govern our industry. We have been through so many changes, and required to comply with such stringent regulations that some smaller lenders have been driven out of the market. The important thing to remember is that regardless of who is appointed we have a job to do, and that is to provide quality loans to credit worthy borrowers,” According to Sean Riley, CEO and Managing Partner of Mortgage Equity Partners.